Sarah Nader - snader@shawmedia.com Crystal Lake Public Works employees Kelsey Snell (left) and Sean Parkin install holiday lights and decorations around Crystal Lake Tuesday, Nov. 7, 2017. 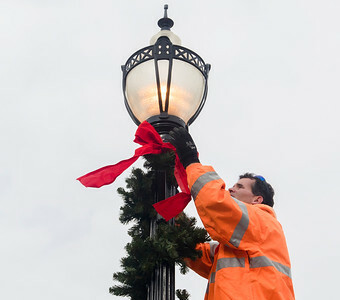 Sarah Nader - snader@shawmedia.com Crystal Lake Public Works employee Anthony Polizzi installs holiday lights and decorations around Crystal Lake Tuesday, Nov. 7, 2017. 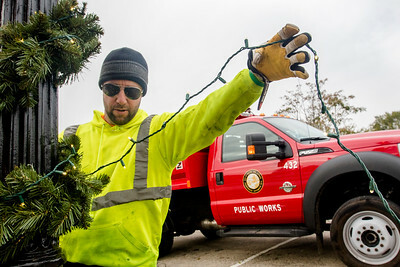 Sarah Nader - snader@shawmedia.com Crystal Lake Public Works employee Sean Parkin installs holiday lights and decorations around Crystal Lake Tuesday, Nov. 7, 2017. 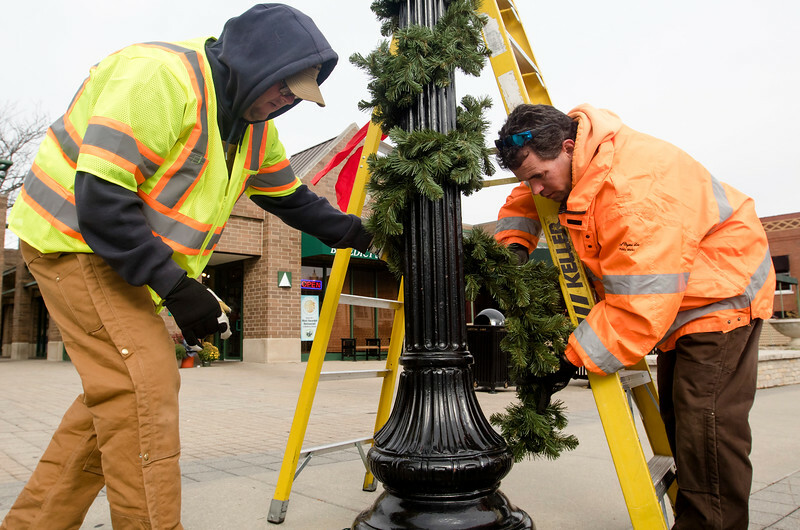 Crystal Lake Public Works employees Kelsey Snell (left) and Sean Parkin install holiday lights and decorations around Crystal Lake Tuesday, Nov. 7, 2017.